At his funeral mass this morning, Archbishop Eamon Martin likened the sudden and tragic death of 17-year-old Morgan Barnard on St Patrick’s Day to the snatching away of the teenage saint himself from his family to be taken to Ireland. 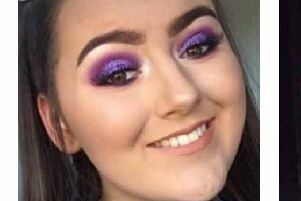 The funerals of three teenagers who died after a crush in the queue for a disco are taking place today. 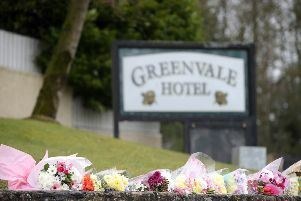 Lauren Bullock, 17, Morgan Barnard, 17, and Connor Currie, 16, died outside a St Patrick’s Day event at the Greenvale Hotel in Cookstown, County Tyrone. The crush happened as hundreds of young people were waiting to get into the event on Sunday night. At 10.00am today the funeral mass for Morgan began in Saint Patrick’s Church, Dungannon. In his address to mourners, Archbishop Eamon Martin likened the snatching away of Morgan from his family to the abduction of St Patrick when he was only 16. He said: “Saint Patrick was only sixteen years old when he was cruelly wrenched away from his family, friends and loved ones by kidnappers who sold him into slavery in Ireland. He wrote about that lonely time, and about the terrible loss and fear his family suffered, not knowing where he was and probably asking themselves endless questions: Where is he now? Why did this happen? How will we cope? What if...? “Since the terribly tragic events in Cookstown on Saint Patrick’s night we’ve all been asking those kinds of questions - and none more so than the families of Lauren, Connor and Morgan. Words fail us at times like this. All that really matters, and makes a difference, is love and friendship and compassion. And only faith can dare to speak into the darkness of these days to offer a glimmer of light and hope in this valley of tears. “The young teenager, Saint Patrick, in the depth of his pain and isolation, wrapped himself around with prayer: ‘Christ on my right, Christ on my left’, he prayed. ‘Christ in mouth of friend and stranger’. “Here in Co Tyrone this week - as families, parishes, schools and communities - we’ve been circling each other around with love and faith and kindness and compassion. The shocking events of Sunday last have reminded us that life is very fragile; we need to cherish every moment and always look out for each other, and keep each other safe. “Thank you all for being here today to offer your prayerful presence and support. In the days ahead, we will cherish the memories of these precious and gifted young people whose lives have been so suddenly wrenched from among us; we will continue to hold their families, and each other, close in love and faith, praying as the young Saint Patrick did, “Christ behind me, Christ before me. Christ to comfort and restore me”. “Saint Paul says: ‘Take comfort in knowing that everyone who died in Christ shall rise to new life and be with him forever’. In his subsequent, homily, Father McCann said Morgan had been humble, vivacious, charismatic and energetic. He said: “In these days of tragedy and deep sorrow. I’ve had the opportunity to speak to many people about Morgan and they all agree on what they say about him. To say that Morgan was well liked would be an understatement. He was a vivacious, charismatic and energetic young man who nobody had a bad word to say about. Morgan was a person of character who had a great sense of humour with an abundance of wit; always a smile on his face. You could never pass him on the corridor in school and no doubt anywhere else without getting a warm look or a quick joke as he passed. Morgan had a strong personality and didn’t care too much about the opinion of others revealed in his various hair styles or indeed lack of hair, hair colours and his flamboyant choice of shirts. He was constantly breaking his glasses and his mother was constantly having to buy him new school shoes as he wore them out playing football. He was also a humble young man who would always listen and be there for somebody if they needed him. “Morgan had a real passion for the Irish language; and was very well known and loved in the Gaeltacht. Spoken very highly off from everybody he encountered in Loch an Iúir from the bean an Tí to his fellow students from all parts of Ireland. However, not even his love for Irish was exempt from his wit and humour. “If I may I will share a funny story which I think exemplifies very well Morgan’s witty side. On one occasion in the corridor in the Academy, he was speaking to a friend who had barely no Irish when one of the Irish teachers stopped to say a few words with Morgan in Irish, when the teacher had walked on, he turned to his friend and comically said ‘Do you know what she just said? She just called you fat.’ To the stunned amazement of his friend. But such was Morgan. He loved the Academy, his friends and teachers there; and the Academy loved him too - and so it is fitting and very moving that he is buried wearing the Academy Crest on his heart. “Also, during these hard days we remember and ask the intercession in a special way of Mary, the holy Mother of God, the Mother of Sorrows who met her Son along the road to Calvary and stood at the foot of the Cross as her Son was dying. Better than anyone Our Lady understands the great sufferings of us all. Especially Morgan’s loving parents Maria and James at this difficult time. I know Jimmy when you were growing up when the Angelus bell rang at 6.00pm, everybody gathered in the living room to pray the Rosary - and that you still today pray a daily decade of the Rosary to our Lady. Keep doing that and I encourage all of you to do that too, for our Lady who is the Mother of Sorrows is also the Mother of Divine Consolation, the Comforter of the afflicted and the Queen of Peace.